The digital nomad life can be a lonely one, unless you’re camped out in one of the few (albeit increasing number of) digital nomad hotspots around the world. In answer to this problem, a few ventures have popped up that allow digital nomads to live and travel on the road with fellow compadres. It’s like co-living co-working spaces that move around the world, and take the headache out of travel planning. These days, you don’t have to do it alone! In fact, if you want to avoid the work of travel planning and choosing destinations and see the world in a relaxed fashion with other digital nomads with lots of time to work along the way, have a look at some of the companies profiled below; some of them will take care of everything, so you can simply focus on your online career, socializing with like-minded people, and travelling the world. For $27,000, with Remote Year you can join 50-80 other digital nomads on a year-long round-the-world trip that takes you to a different city every month. Included in the price is all transportation, private accommodation, co-living co-working spaces, development tracks, and community activities. If you are employed but have a job that can easily be done from the road, they also have an employer approval process to help employers get on-board with (and ideally subsidize) the idea! Workadise is just getting off the ground (June 2017) with three, six, nine, and 12-month programs. The longer you go, the less it costs, with annual participants paying $29,500/year. For this annual fee, you’ll get flights between destinations and airport transfers (for 12-month participants only), accommodation in a single room (not everybody stays at the same place if there are a lot of participants), a co-working space, events and activities, a day of sightseeing per week, and a dinner/cocktail party during the last week at each venue. We Roam offers multiple trip itineraries that take their participants to a different country each month. This gives you the option to join any itinerary in progress, skip months, jump between itineraries, and set your own trip length. Their only condition is that you join a given itinerary for a minimum of three months. You’ll pay a deposit of $5,000, and then $2,000/month; if you choose a 12-month itinerary, the last month is free, so the grand total for a year of travel is $27,000. Included is your accommodation (private room), transportation, and 24-hour access workspaces. They have an employer partnership program to get employers on board as well. WiFi Tribe is made up of 12-18 people who hang out in a different location every month. As a tribe member, you can join for whatever month or months you wish, doing your months all together, or spreading them out across the year. If you sign up for three or more months per year, you’ll get the best price (from $1,400/month for a private room or $800/month for a shared room). All accommodation honours the co-living co-working lifestyle with shared houses/apartments/villas with common kitchens and workspaces. They boast a work hard play hard mentality, giving you a chance to get lots of work done, as well as to get out on adventures during time off. The website is a bit vague about actual locations on their itinerary and what is included, but you can easily enough ask them by sending in an application form. The Remote Experience participants travel to a different city each month. If you join the all-inclusive plan (which is four months long), everything will be covered including flights to and from major USA airports to the start and end locations, flights between countries, office space, accommodation (private room in a shared house with up to three other participants), travel and medical insurance, events (at least two per month), a local ambassador, and trips and excursions. Alternately, you can choose the month-to-month plan, which allows you to pick and choose which months you want to join the program. Everything except transportation is included. The monthly costs are $2,000 for European destinations, $1,900 for Southeast Asia, and $1,950 for Latin America. All-inclusive participants pay an extra $2,000 down payment, which covers transportation. Unsettled offers 30-day retreats for 25-30 digital nomads in handpicked locations around the world, such as Buenos Aires, Barcelona, and Bali. 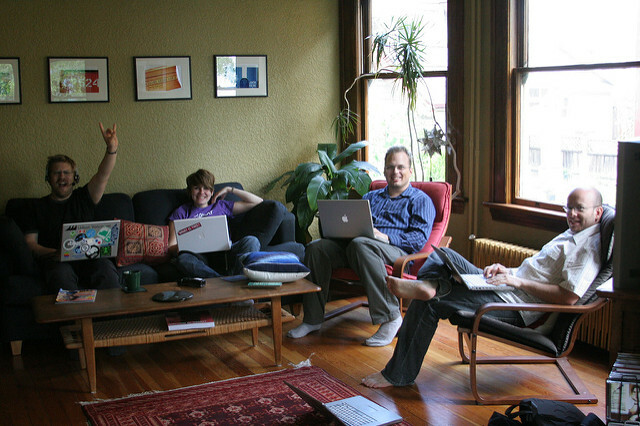 They offer an immersive co-living co-working community experience, including a private room, full-time access to a co-working space, workshops and events, peer-to-peer sessions, local guides, welcome dinner and party, weekly lunch and learns, and even non-alcoholic drinks, a local SIM card, and airport transfers. For this, you’ll pay $1,600-$2,400 for the month, depending on the destination. The Hacker Paradise crew camps out for three months at a time in various locations such as Costa Rica, Thailand, Portugal, Spain, etc. You can join them from just two weeks to the full three months. You’ll get a private bedroom in a shared house (although you can join without housing if you wish), a dedicated workspace, social events, and workshops. If you’re in it for the long term (four to eight weeks), it will cost about $500/week depending on the location. Short-term participants will pay $750/week, and if you join for the full three months, you’ll save more money. Roam is an international network of co-living co-working spaces in London, Tokyo, Miami, Bali, and soon to be San Francisco as well. You’ll get a room with private bathroom, cleaning service, communal kitchen, and a co-living co-working space (for example in Bali they converted a boutique hotel with 24 rooms into an exclusive Roam property – which incidentally, I fell in love with while researching for this article). You can come and go weekly or monthly as you wish; monthly participants will save some money. Prices vary by location; for example in Bali weekly participants pay $500/week, and monthly rates are $1,800. These prices are per room not per person, which makes it a great deal for roaming couples. B-Digital Nomad camps out in one country per month, and you can join them for two weeks to two months. Included is accommodation (private or shared room), workspace with internet, two cultural excursions per month, meaningful initiatives that impact local communities, social and networking events with local business owners and entrepreneurs, and language/cooking/dance classes (dependent on the country). They seem to be still working out their exact offering, because over the few weeks that I was researching for this article, their price and what’s included changed. At the writing of this article, the cost is $2,500/month. Nomad House offers a variety of co-living co-working options around the world, from surf lodges to city-centre apartments. You can either have a shared or private room, and all participants enjoy fast internet, snacks in the house, shared social space, workshops, a weekly schedule of activities, and trip leaders to help out as needed. Ultimately the features vary by location (accommodation and workspaces are included at a minimum); for example in Bali last year, they had an in-house personal chef who prepared meals. You can choose from 15 or 30-day options, and prices vary by location. For example, Barcelona (June 2017) costs $1,520/month for shared accommodation and $2,270 for a private room. 15-day prices are about 2/3 of the cost of the 30-day prices. Nomad Cruise offers a couple of short and sweet trips per year. 150 or so digital nomads descend upon a transatlantic repositioning cruise boat to enjoy all the benefits of a cruise, as well as social networking time, workshops, and more. Because it’s a cruise (where WiFi is expensive at best), it’s much less about a sustainable digital nomad lifestyle and more about detoxing and socializing with fellow nomads. The application process for just about every co-living co-working service here involves an online application followed by a video/telephone conversation to ensure you’re a good fit for the program. Apply for a few different programs, and ask lots of questions. In doing your due diligence, you might want to ask to be put in contact with a past participant so you can get their take and ensure the experience is a good fit for your needs. If you’re travelling with a partner, choose a program that charges per room instead of per participant, or at least a program that will give you a good discount for sharing a room together. Some program discounts are better than others. These co-living co-working programs aren’t just for entrepreneurs! If you can telecommute, you’re in. Some of these companies even have services to help your employer transition you smoothly to a telecommuting arrangement. I’m Having Digital Nomad Lifestyle Burnout! Home on the Road: What is It? Thanks for compiling this list Nora, I never knew there were so many options! More expensive than doing it yourself but hopefully great networking opportunities! Since writing this article, I’ve discovered even more opportunities for digital nomads to co-live and co-work together. They aren’t organized trips so much, but similar to Roam (profiled here). And the good news is in some cases they’re way cheaper! Check out co-living.com (my latest discovery) to see where you can co-live and co-work with others. Don't subscribe All Replies to my comments Notify me of followup comments via e-mail. 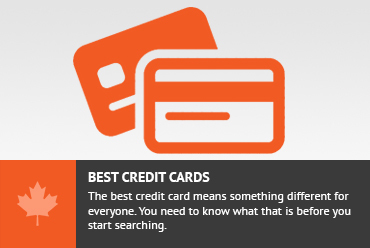 You can also <a href='https://www.creditwalk.ca/comment-subscriptions/?srp=5055&srk=2648578ecea05c83754707575dc5a494&sra=s&srsrc=f'>subscribe</a> without commenting.